This blog post introduces the utilization of connectivity investigation to epileptic brains. We will show the fundamental steps to process EEG data including pre-processing, applying necessary filters, and perform a basic connectivity extraction from EEG data. The aforementioned steps play a crucial part in the feature extraction process where Multi-Layer Perceptron Neural Network will be used as our main machine learning classification algorithm in this post. Epilepsy is one of the brain disorders characterized by the recurrent unprovoked interruption of brain function, called epileptic seizures. During the epileptic seizures, groups of neurons in the cerebral cortex are being excessively triggered simultaneously resulting in symptoms such as muscle stiffness, muscle spasms and impaired consciousness. The disease is considered a chronic disorder affecting 0.5 – 1% of the entire population. In the United States alone, 1.8% of adults (18 years and older) and 1% of children (aged 0-17), are reported to have epilepsy by the Center for Disease Control and Prevention. Although the symptoms mentioned above are general symptoms, the location, duration and propagation of the seizures vary depending on the individual. Due to the unpredictable occurrence of seizures, the quality of life of epileptic patients might be greatly impacted by this uncertainty. The definition of epilepsy alone makes me aware that, a majority of people with epilepsy are suffering from the disorder. I believe that with the current technology, we would be able to push the boundary of knowledge and contribute to the progress of enhancing therapeutic protocols for all those patients. I started my research about epileptic brains immediately after I joined the Center of Advance Technology and Education (CATE) at Florida International University. My research focuses on exploring the connectivity domain of brains, which in this case is epileptic brains. The main reason that I chose to work with the brain is because of its complexity, where in my opinion, I believe that human brains are the most fascinating system and the most complicated system that we have ever encountered. Therefore, trying to understand how the brain works will always be one of my top priorities in my research career. The brain can be considered as the command center of our body. Not only does it communicate throughout our entire body by using the nervous system as a main channel, it also communicates within itself between different regions as well. Groups of neurons inside our brain communicate with other groups by the medium of axons and we can capture these activities by using electroencephalogram or EEG. Why I Chose to use EEG? Among the neurophysiological techniques, electroencephalogram (EEG) remains the most prevalent and reliable modality to examine brain activities as well as using it as the main diagnosis assessment. EEG recording is simple and inexpensive compared to other neuroimaging studies. 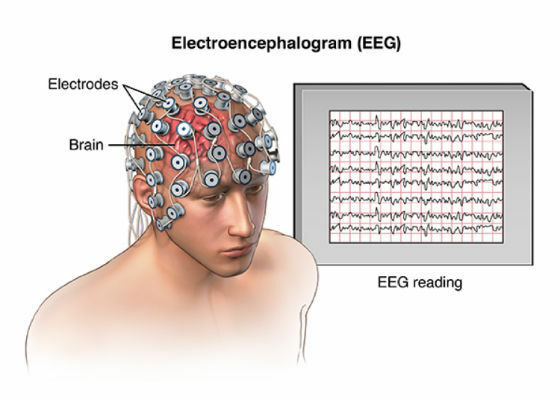 EEG captures the electrical activities produced by the neurons in the brain. Due to its high temporal resolution, EEG is considered a suitable tool for identifying synchronization between a pair of signals. 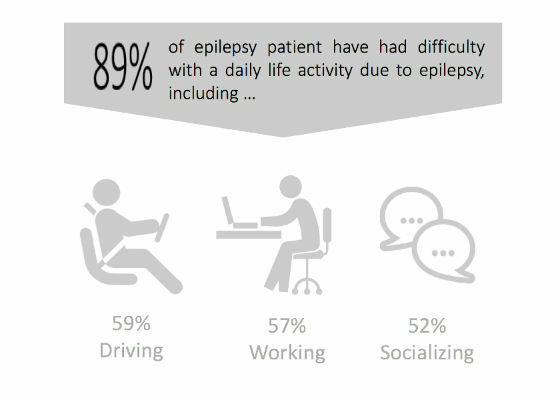 Substantial amount of epilepsy diagnosis is done by recording and visualizing EEG. Extracting epileptic characteristics of EEG plays a key role in the disease detection. Consequently, extracting the hidden patterns of EEG may be a beneficial tool to alleviate this complex process of the epilepsy diagnosis. The study of functional connectivity has received great attention in the field of neuroscience and has yielded promising results in diverse research endeavors. 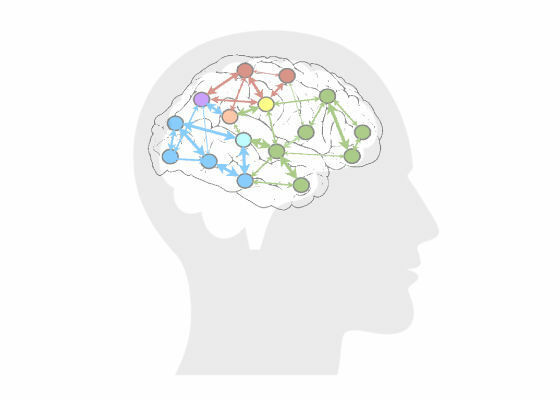 Functional connectivity is defined as a study of the correlation of events occurring in the regions of the cortex. The value of functional connectivity depends on the levels of synchronization between groups of neurons, which can be estimated from EEG recordings by using one of the most promising measures such as coherence measurement. EEG coherence provides the interactions between neural activities in different frequencies across brain regions, which in this case, it will be used to analyze the pattern of interictal epileptiform discharges (IEDs) where it is perceived that the characteristics of different types of IEDs will be distinct from each other creating a pattern that will be used as classification parameters. Now that we get a glimpse of brain connectivity and how we should apply it to EEG, the next step will be continuing our work by first importing EEG data into our working environment and start our data investigation process.